Where do you go for mouthwatering, juicy steak on a cruise? You can try your luck in the main dining room, or you can head to an onboard steakhouse, which offers higher quality food and a more intimate dining experience. Found on a number of cruise ships, these specialty restaurants, many of which carry a fee, range from traditional steakhouses to vibrant churrascarias. If you're willing to splurge, expect to spend anywhere from about $20 to more than $50 (without drinks or other add-ons). 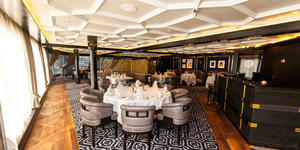 Steakhouses at sea serve up more than slabs of beef. 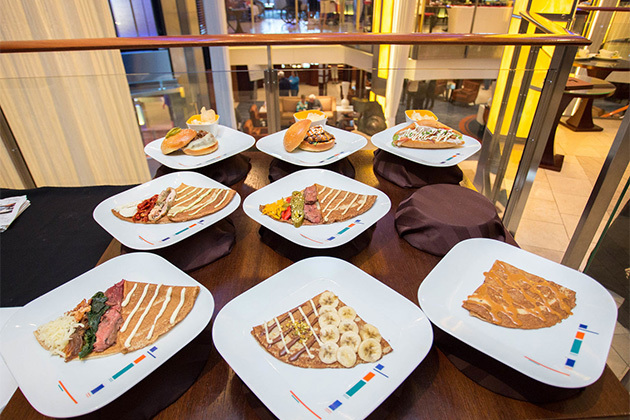 Menus typically offer all kinds of protein -- you'll find chicken, veal, lamb and an array of seafood -- with hearty sides and a few specialty dishes such as dry-aged beef and lobster, some for an upcharge. Venues will happily accommodate vegetarians, as well. 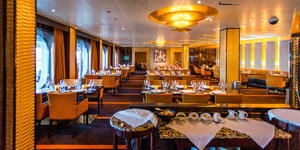 The restaurants do book up fast, so we recommend making reservations before your cruise, if possible. If you're a meat-lover, prepare to salivate over our six favorite cruise ship steakhouses. Why We Love It: Tuscan Grille is not your average steakhouse. The venue is rustic yet contemporary with Art Nouveau touches, and the menu is a mix of innovative steakhouse staples and traditional Italian. We love that you can start off with antipasto or freshly sliced prosciutto and then choose between entrees like blackened Angus rib-eye in Cajun-spiced butter, seafood risotto or wild mushroom ravioli. For dessert, indulge in chocolate fondue paired with limoncello. 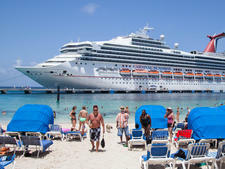 The surcharge is $45 per person or $10 per child. On Celebrity Edge, you can savor Tuscan Grille-inspired dishes at the Tuscan Restaurant, one of the ship's main dining venues, free of charge. 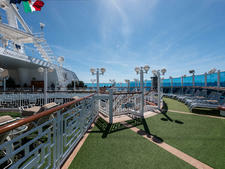 The ship does not have its own Tuscan Grille; instead, it features the Fine Cut Steakhouse, which bears a $55 cover charge per person. Why We Love It: From leather wingback chairs and an earthy color scheme to its steak and seafood menu, Prime 7 epitomizes a classic steakhouse. Some of our favorite dishes include a 32-ounce porterhouse (carved tableside) and the surf and turf, both made with USDA-approved beef that has been dry-aged at least 28 days. 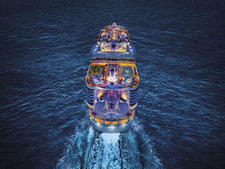 The best part: It's included in your cruise fare. Why We Love It: Inspired by the Pacific Northwest, Pinnacle Grill offers a traditional steakhouse menu with regional ingredients, sustainable Double R Ranch Northwest beef and fresh seafood. On each ship, the restaurant's decor is a bit different, with unique touches like decorative chairs and artsy light fixtures. Dinner at Pinnacle Grill is $35 per person, but some menu items, such as the dry-aged Delmonico and President's cut, come with an additional surcharge. Why We Love It: Crown Grill, Princess Cruises' classic steakhouse, offers a selection of delectable steak and seafood, accompanied by some of the best sauces and seasonings we've tasted at sea. 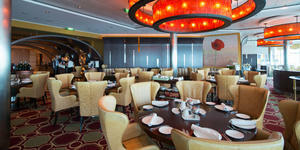 Round it out with mouthwatering appetizers and desserts, and it's a great alternative to the main dining room. The dark wood decor adds a sophisticated air, and the theater-style kitchen allows you to watch from your table as your meal is prepared. The cover charge is $29 per person or $14.50 for children ages 3 to 12 (no charge for children 2 and younger). Why We Love It: Yes, steaks are the star at Carnival steakhouse Fahrenheit 555 (found on Carnival's newer ships), but the appetizer and dessert menus demonstrate marvelous creativity, as well. The menu offers some adventures in dining, with items like a smoke and ice fresh oyster, brought tableside under a smoky cloche, and bone marrow and hand-cut beef tartare, which gives an unusual twist to a steakhouse standard. Likewise, delight in "Art at the Table" for dessert. This group dish, prepared tableside, is as beautiful as it is tasty. The steaks are great, too, served to your taste with your choice of salts and sauces. 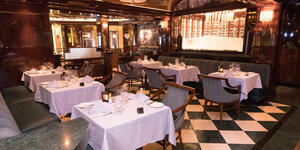 At $38 for adults (and $12 for kids), it's one of the best steakhouse values at sea. Why We Love It: Replacing former French restaurant The Verandah, Steakhouse at the Verandah is an English nod to the American obsession with steak. 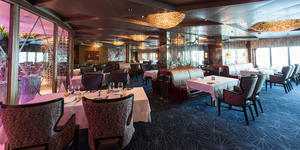 Rolled out fleetwide in early 2019, its menu features everything from burgers and salads to lobster cocktail and cuts of beef that include dry-aged Scotch grass-fed Black Angus and Australian grass-fed wagyu and seafood add-ons. Sweet, buttery pull-apart bread is brought to every table, and it's delicious; desserts are phenomenal, too. The most fun part is that passengers can choose from a selection of knives in various materials and shapes to fit their hands. The steakhouse is open for both lunch ($25 per person) and dinner ($39 per person) with no children's pricing.